Hi girls, hope you are having a great day! Today's post is on Esra's wardrobe, I posted the picture below on Instagram and am now dedicating a whole post on it. You know that space in our flat is limited so I have to make every inch count! Esra is now 16 months and I can't believe the amount of clothes she has. Well I can her mummy is a bit of a lunatic shopper. I iron all of her clothes and fold them properly before I place them in her cupboard, it just saves me time in the long run. I don't do this procedure for my clothes! :) To think I started off with 2 drawers in a dresser, funny how it expands! You all know I'm a crochet addict and this wardrobe isn't complete without a handmade crochet bunting. It makes me smile and Esra giggle when we are choosing clothes to wear! The hangers were using are multicoloured plastic ones from Asda. I generally organise by type or colour. For example all her coats are on the right, then majority of her tops on the left and dresses in the middle,but I have also grouped all of the denim together. Inside the left door of her wardrobe I have used double sided tape to attach clear plastic pockets to store her crochet hairbands. A nice DIY job for a Sunday. Do it, it's so satisfying to see them all in a row! The inside of the right door has some hats, bags, fairy wings and swimwear in the linen bag which I have hung by placing tiny nails inside. Using the inside of doors is such a clever idea, you can buy all sorts of things! Make sure you are utilising your space! One of the best ways to maximise space is shelving. To create more storage below I have added a wooden shoe rack which fits perfectly inside. PLEASE NOTE: This is an adult size wardrobe and not a kids version therefore I have more space to work with. I think the shoe rack was from Ikea too. I have used boxes and baskets to store her folded items and bits and bobs! The upper shelf has bottoms, Pj's and tops & vests! The rest are hats, gloves, shoes, tights, socks, hair clips..you name it it's in there! On the lower bottom shelf I have her blankets and bed sheets. 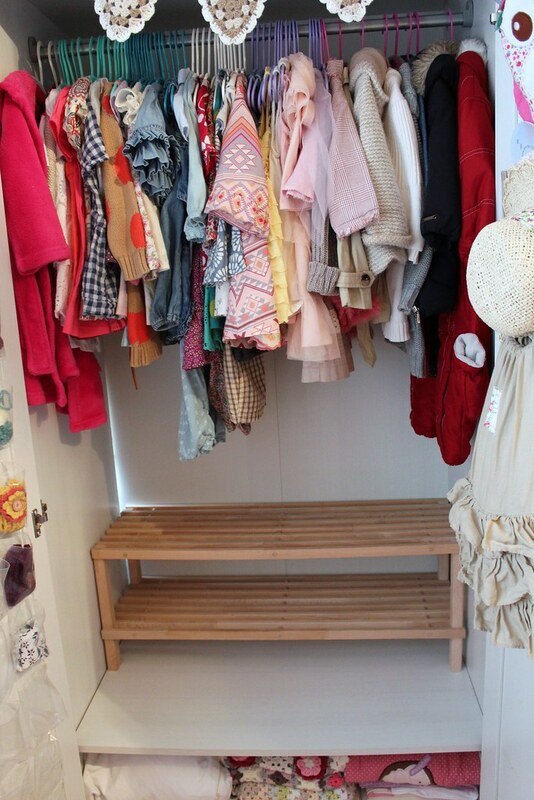 How do you store your clothes and do you have any tips to save space? Oh, this is so lovely!! 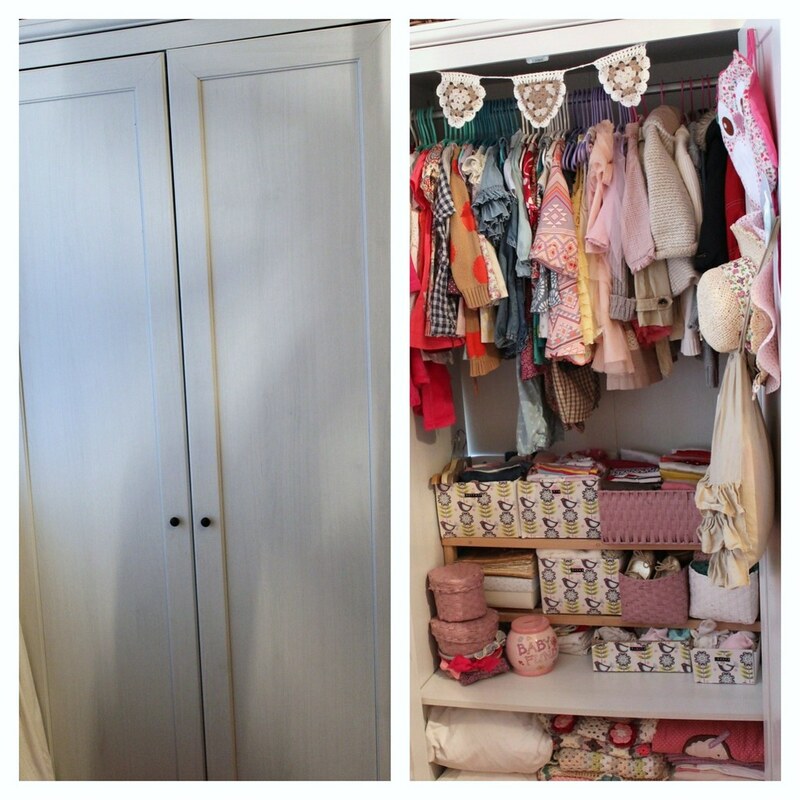 :) I wish my baby would have such a wardrobe - now it's only chest of drawers, as I have no space at all for a wardrobe in my small flat! This might just be the cutest wardrobe I've ever seen! 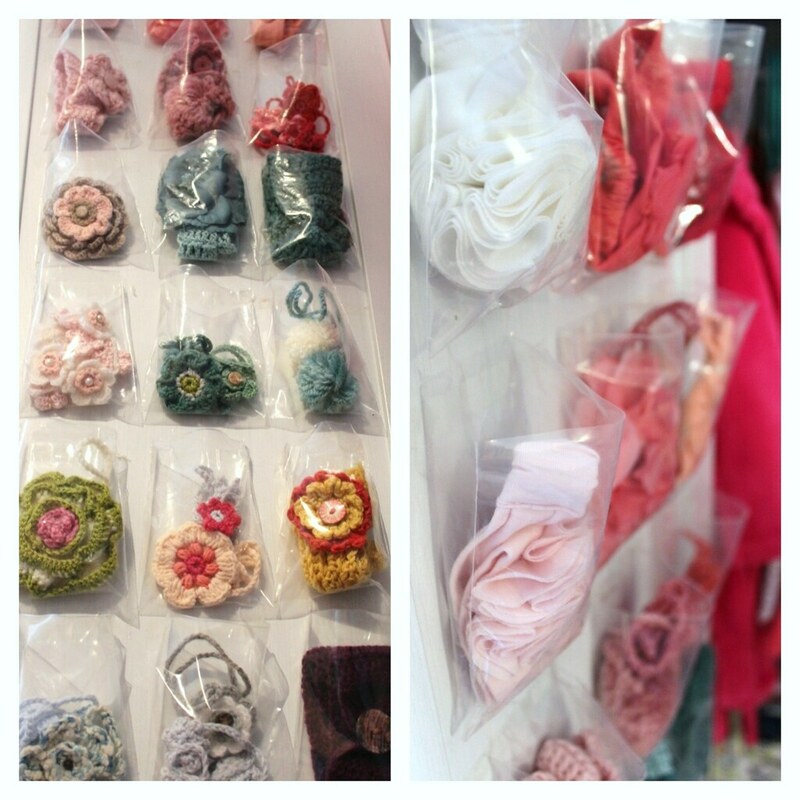 Esra is a lucky little girl :) I want to try and organise my hair accessories in little plastic pouches now! I feel inspired! I'd love to see more posts like this! Ps; I'm obsessed with my label maker too!!! When Esra grows up, she will realise just how much you have sacrificed for her, space is sacred! 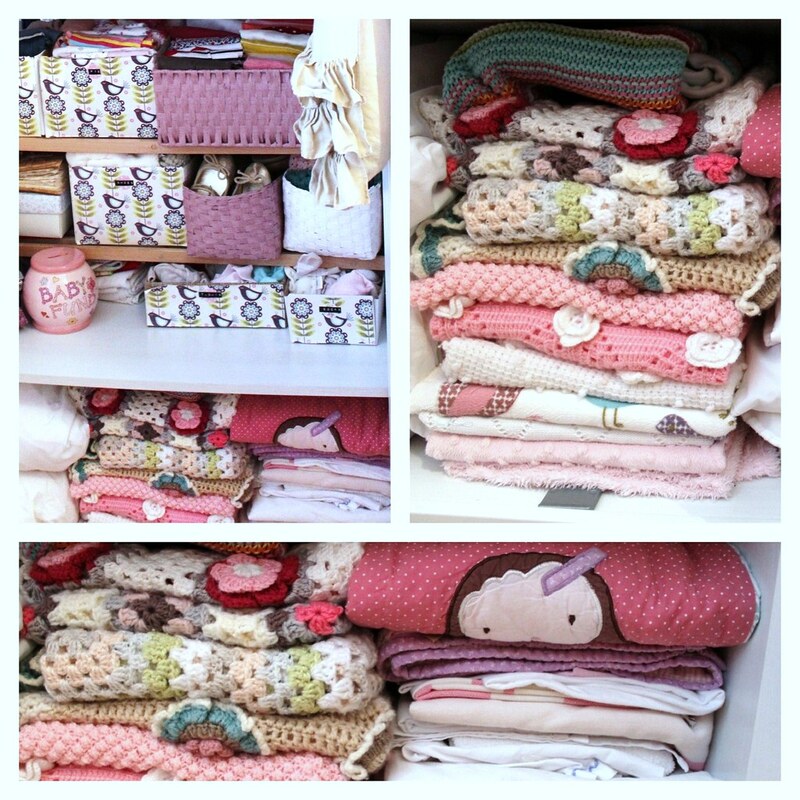 :) this is such a cute wardrobe, it makes me wish I had a baby girl or even a niece I could spoil rotten! Great job! gorgeous set up! my 16 month old doesn't even have half this stuff but i always want to buy her pretty clothes! so hard not to! 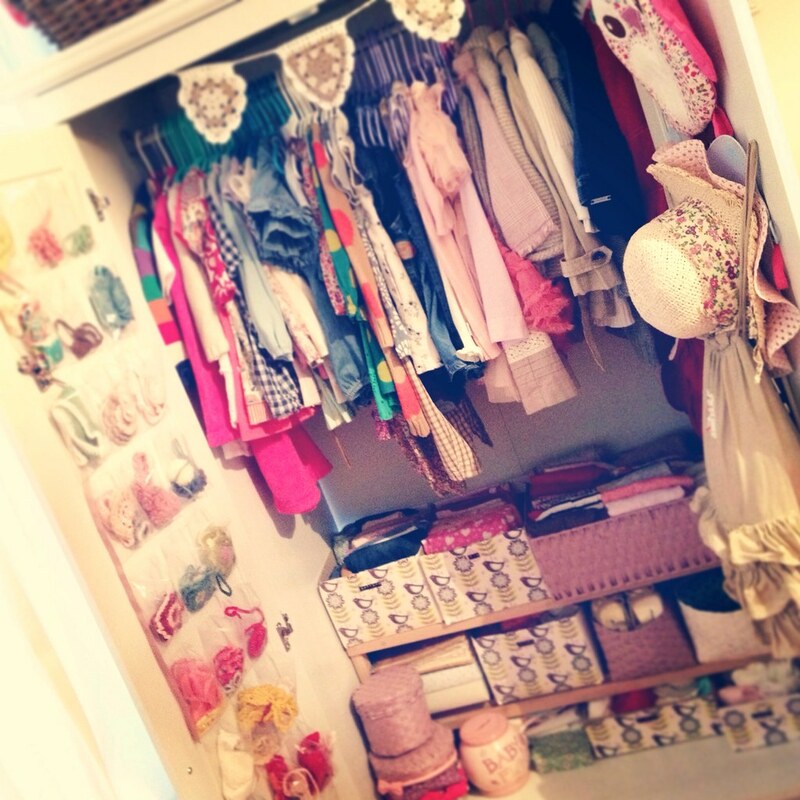 adorable wardrobe and you have it so well organized! thanks for the inspiration...Ava's needs some serious organizing! Wow... Esra is one lucky girl, this is just adorable. Love your organization! Came here to recommend huggable hangers or whatever flocked hanger alternative you can find. There are usually tons of them for cheap at TJ Maxx here in America (I think you have TK Maxx?) They're great for saving space and making sure clothes don't fall off. Amazing! I just adore how you utilize all the space you have. I loved this post! I have a 15 month old baby girl and it gave me great ideas on how to store her things. Also - I was wondering if you could share some of your favorite shops to buy Esra's clothing? She always looks so adorable! I loved this post! 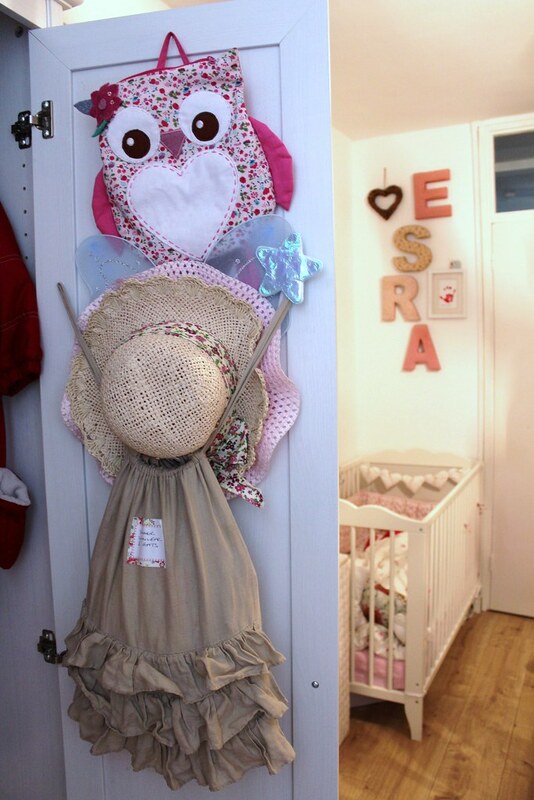 I have a 16 month old baby girl and this gave me some great ideas on how to store her things. Also - would you be able to share some of your favorite places to shop for her clothing? Esra always looks so adorable!! I got told about your website from a collegue at work - and I am now officially obsessed! Wish I could turn your blog into a book so I could catch up! imagine simply how so much time I had spent for this info!